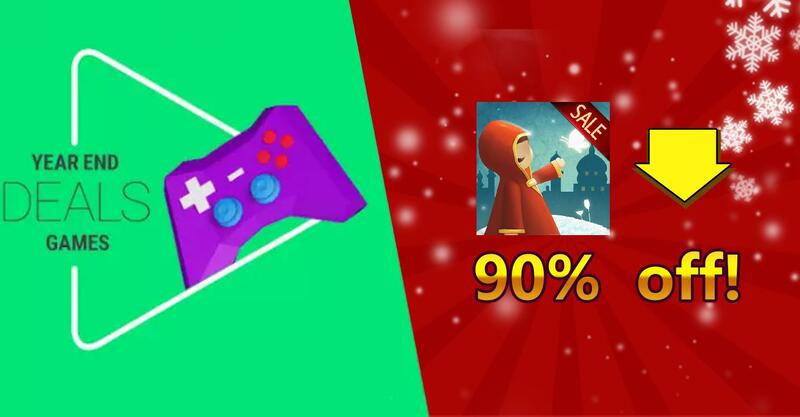 Google is having a sale in the Play Store right now, and a lot of developers have their apps and games featured in it. One game in particular has the distinction of being really, really cheap. 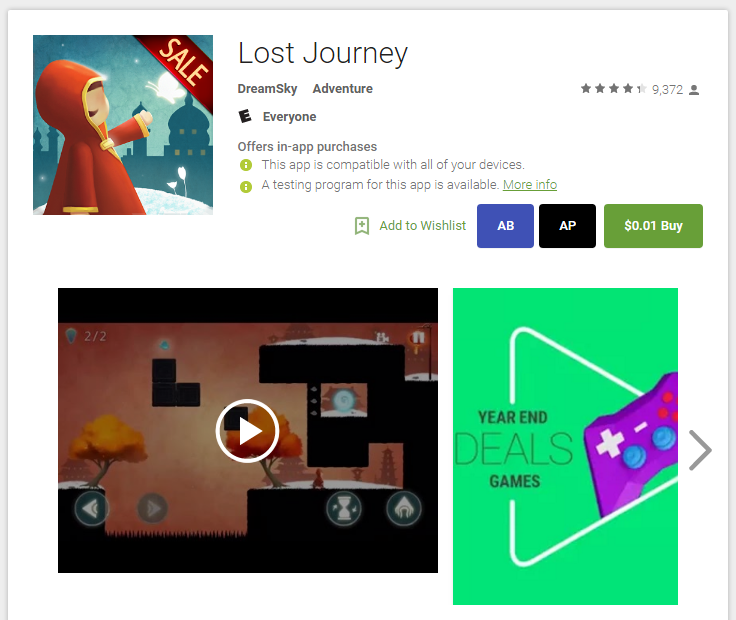 Lost Journey is literally as cheap as it can be without being free. It's $0.01 right now—yes, just a penny. This is probably a mistake. Lost Journey is an adventure puzzler that plays with space and gravity to help you get around the level. You can flip the map upside-down at any time, causing the foreground and background to switch places. So, what once was a hill is now a valley. It's a clever game mechanic, but we've seen it in other titles. This game is usually $0.99, and the sale banner proclaims a 90% discount. That does not work out to a penny. The sale price was probably supposed to be $0.10, but someone accidentally transposed the 1 and 0. We've confirmed the $0.01 price is legit—that's all Google will charge your account if you buy this. I suspect this will be fixed eventually, but for now it's essentially free. Maybe the developer above just didn't math correctly. There are a few more games on sale for $0.01, like the charmingly titled Armpit Hero: VIP. Beware, there are a lot of in-app purchases in there. There's also Zombie Avengers:Stickman War Z. Again IAPs.